Andrea Stuart is currently working towards a practice based PHD at Kingston University, which is 80% an historical fiction set amidst the black community of Georgian Britain, and 20% critical analysis of the representation of blacks of the period. She was born and raised in the Caribbean. She studied English at the University of East Anglia and French at the Sorbonne. Her first book, Showgirls, was published by Jonathan Cape in 1996. It was adapted into a two-part documentary for the Discovery Channel in 1998 and has since inspired a theatrical show, a contemporary dance piece and a number of burlesque performances. Her second book, The Rose of Martinique: A Biography of Napoleon’s Josephine, was published by Macmillan in 2003. It has subsequently been published in the US by Grove Press (2004), in Germany by Karl Blessing Verlag (2004), in France by Perrin (2006) and in Sweden by Prisma (2006). 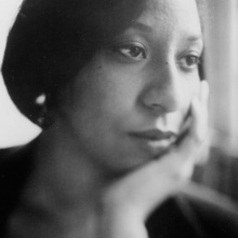 The Rose of Martinique won the Enid McLeod Literary Prize in 2004. Her third and current book Sugar in the Blood: One Family’s Story of Slavery and Empire was published in England (2012) by Portobello Books and was be published in the US by Knopf in January (2013). It was shortlisted for the BOCAS Literary Prize and the Spears Book Award.The book was the Boston Globes non-fiction book of 2013. She has been published in numerous anthologies and her articles have been published in a range of newspapers and magazines and she regularly review books for the Independent. She is currently a Writer in Residence at Kingston University, in London. She also commissions for an academic publishing list. In the past she has worked as an editor, a TV producer and a researcher.